This is special weekend for my family: my parents are celebrating their 50th Wedding Anniversary tomorrow, July 10th. It’s rare to find people like them, who are still together and love each other very much. Today’s niche idea was sparked by their celebration, so let’s look at the wedding anniversary niche research. 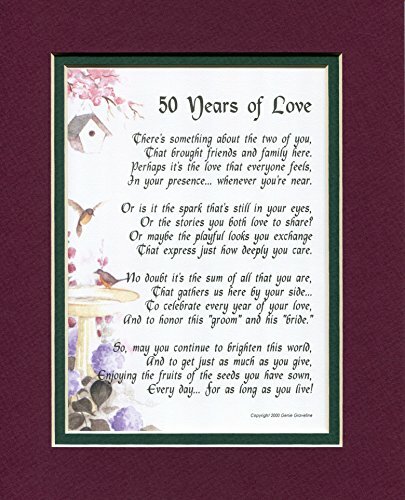 50 Years of Love, #119, Poem Gift Present For A 50th Wedding Anniversary Amazon.com has lots of options: wedding anniversary gifts by year, wedding anniversary gifts for her, wedding anniversary gifts for him, and more. Make sure you check out CJ and SAS as well: there are lots of vendors there as well. Create an e-commerce type site, with lots of suggestions for gifts for the different types of wedding anniversary. And of course, AdSesne is not too bad either, so you can write content pages as well to monetize with AdSesne. 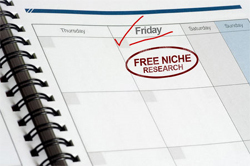 There ‘s a lot more to this niche than what you see above. Let me know if you’d like more in-depth research done. See my offer here.